What Data Is Included In The Plate Lookup? 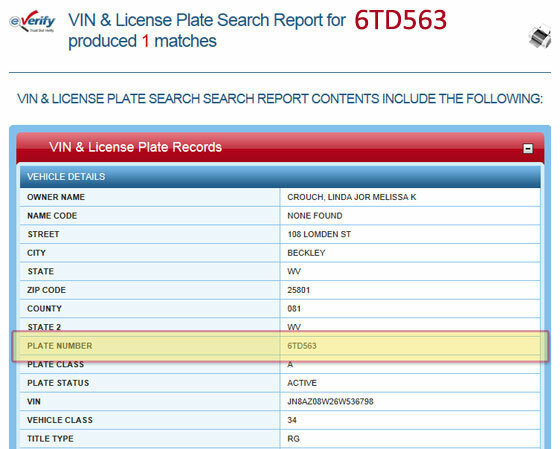 When there's a match for the plate, the following information is provided: name, address, VIN, title information, vehicle class information, and other personal information. The screenshot below contains the data for the example plate 6TD563.